Product prices and availability are accurate as of 2019-04-11 20:26:38 EDT and are subject to change. Any price and availability information displayed on http://www.amazon.com/ at the time of purchase will apply to the purchase of this product. 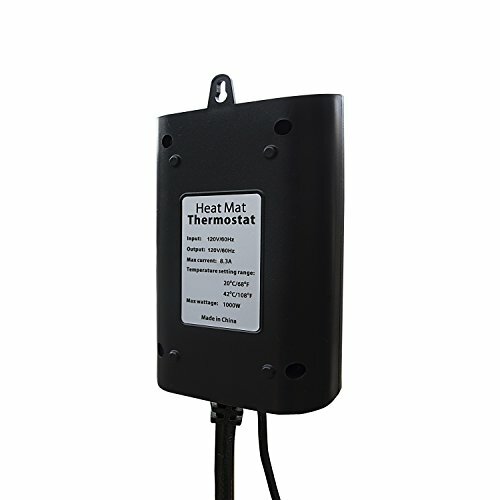 This is a heat mat thermostat. A must have for every gardener. 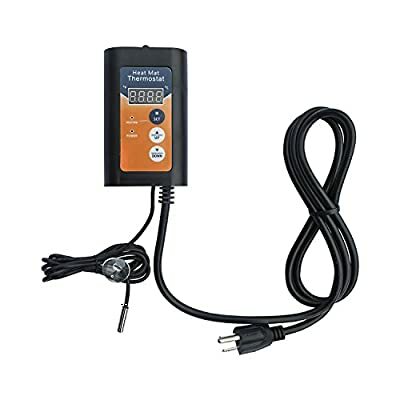 It is a digital temperature control device that allows you to select and maintain optimum rooting and germination temperatures for faster seeding. 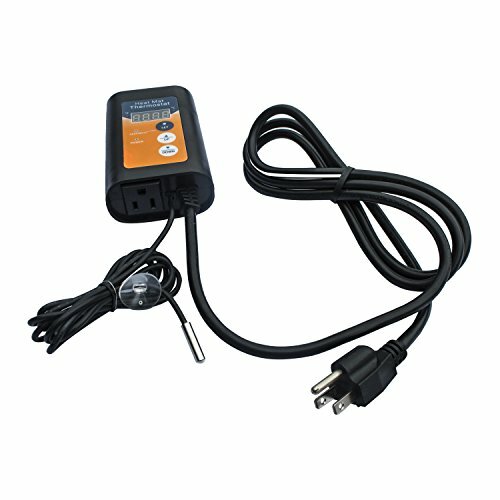 Easy plug in operation with 5.5 foot outlet cord and 6 foot thermostat cord. Choose the exact temperature you need depending on your specific crop and ensure the strongest, healthiest plants possible. 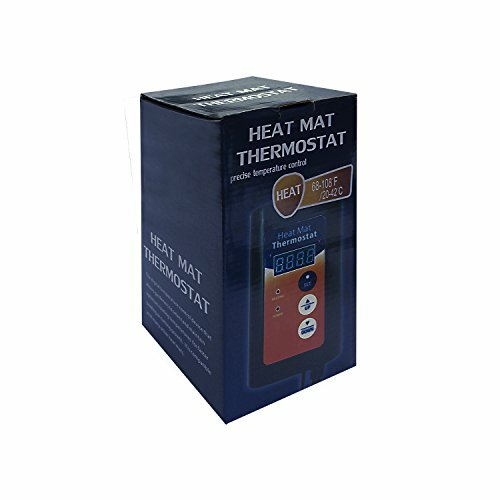 It is compatible with most heat mats. 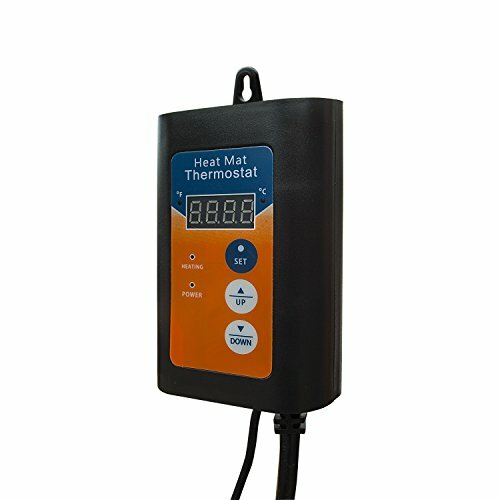 You can also use this thermostat for many other functions such as maintaining desired fermentation temperature in homebrewing, and controlling temperature for reptile terrariums and small pet enclosures. 120 V. 60 Hz. Maximum current 8.3 A. Maximum Voltage: 1000W. Temperature setting range: 68 to 108 F. Terrific value and fast shipping. 120 V. 60 Hz. Maximum current 8.3 A. Maximum Voltage: 1000W. Temperature setting range: 68 to 108 F. A must have for every gardener: provides constant optimal temperature for rooting and germination. Also perfect for maintaining desired fermentation temperature in homebrewing, and controlling temperature for reptile terrariums and small pet enclosures. Provides constant optimum temperature between 68 to 108 F. (20 to 42 C). Choose the precise temperature needed depending on the specific crop to ensure the strongest, healthiest plants possible. Easy plug in operation with three prong ground pug. Simple controls: power, up and down buttons for temperature regulation 5.5 foot plug in outlet cord. 6 ft thermostat cord.